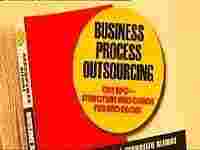 "Business Process Outsourcing, Oh! BPO-Structure and Chaos, Fun and Agony". The general image of the BPO industry has indeed deteriorated over time. According to latest findings in the book, “Business Process Outsourcing, Oh! BPO-Structure and Chaos, Fun and Agony", the average perception was that almost anyone could find a job in a BPO and that the industry offered easy money while being a stopgap career arrangement. It was also seen as unsafe for girls and a place where one’s career progression took a back seat. And that BPO jobs may not necessarily be at par with the other premium jobs in the corporate sector. Not surprisingly, the industry now attracts les skilled talent than it did earlier while it struggles to retain employees with attrition rates being at all time highs. It clearly needs some serious re-branding to solve its problems and remain an attractive career opportunity. The authors also point out that the change needs to be driven from within the industry as well. There is a need for change in management attitude and better treatment of employees with an emphasis on managing their aspirations and expectations. There also needs to be a rationalization of salaries and joint action for tackling common problems to retain talent and yet be competitive. Otherwise, say the authors, competition for talent coming in from industries like hospitality, retail and aviation, things may get tougher for average Indian BPO industry.